Click here to purchase this book for just $17.00. This same book is being sold by others for $38.00! You can also purchase the LOW KEY VERSION by Bragers. ORGAN ACCOMPANIMENTS • ORDINARY OF THE MASS • COMPLETE GREGORIAN CHANT MASSES • First published in 1937, this organ accompaniment has in modern notation all of the standard Kyriale Ordinaries (I – XVIII), the Credo versions I-VI, and the Asperges (including one ad libitum) and Vidi aquam chant. And for choirs that are not proficient enough yet to sing the propers of the Requiem Masses a cappalla, Bragers generously provided the accompaniments for their propers and Kyriale and the other funeral functions; i.e. : the entrance of the casket into the church (Subvenite), the in Exsequiis (Miserere) absolution ceremony (Libera me, responses and Benedictus), and the concluding antiphon, In Paradisum. Of course what Gregorian Chant organ accompaniment manual is complete without supplying some of the ad libitum modes for the Kyriale? Bragers succeeds here too admirably with cantus ad libitum chants for I – XI of the Kyrie, I – III and more ambrosiano of the Gloria, I – III of the Sanctus and I & II of the Agnus Dei. 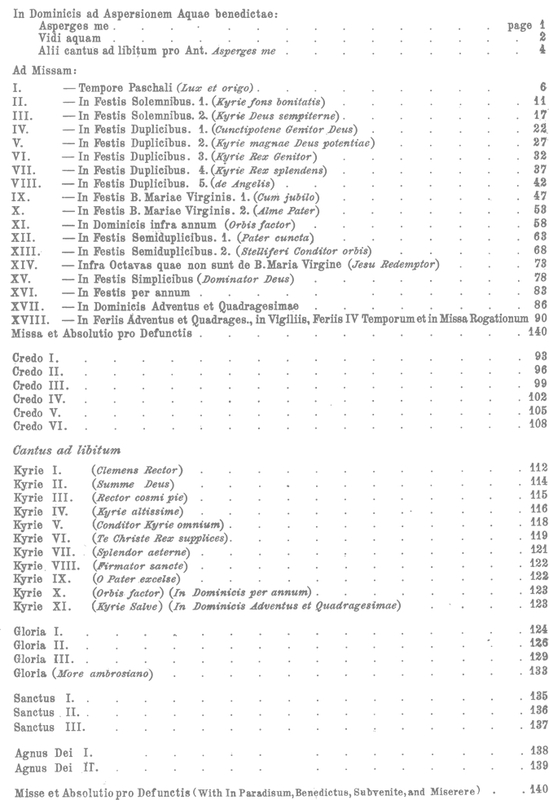 Throughout the entire book, the organ notation is underscored by the Latin words, hyphenated under each appropriate note (which assists with proper pronunciation of liturgical Latin, too). Fully indexed, all notations and text are in printed in black ink on medium stock paper to ensure durability, while the spacious comb-binding gives the organist easy and quick access. Kyrie, Gloria, Credo, Sanctus, Agnus Dei, Ite missa est). This is a must-have for organists who play for the Tridentine Latin Mass! 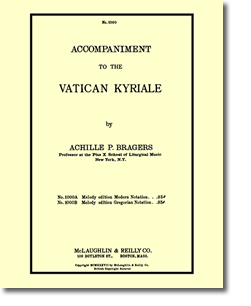 Bragers’ Kyriale contains organ accompaniments according to the Solesmes rhythmic markings.